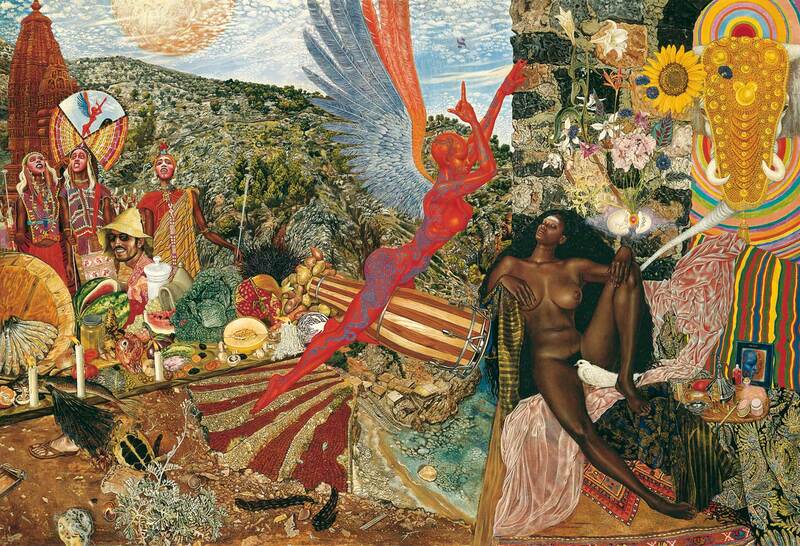 The album cover features the 1961 painting 'Annunciation', by Mati Klarwein. 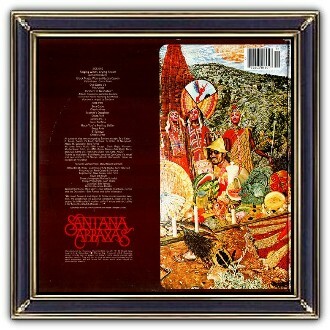 Carlos Santana saw a reproduction of the Annunciation in a magazine and wanted it for the cover of his all time best selling Abraxas album. 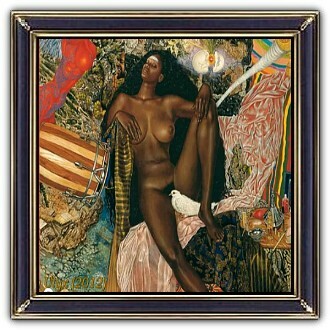 The way it was painted was in fact a provocation of the traditional Biblical meaning of Annunciation. A winged and tattooed Gabriel is depicted astride a conga drum, pointing heavenwards to a Hebrew Aleph symbol (signifying beginning), with a dark-skinned and naked Mary surrounded by images of fertility. 'Drums were always used to announce something,' Mati said. 'They were a medium of communication in Africa.' To the left are three Wodaabe Charm Dancers, perhaps representing the Three Kings, and an image of Mati himself. Santana is a Latin rock band formed in San Francisco, California in 1967 by Mexican guitarist Carlos Santana. The band first came to widespread public attention when their performance of 'Soul Sacrifice' at Woodstock in 1969. This exposure helped propel their first album, also named Santana, into a hit, followed in the next two years by the successful Abraxas and Santana III. In the years that followed lineup changes were common. In 1998, the group was inducted into the Rock and Roll Hall of Fame. The band has earned eight Grammy Awards and three Latin Grammy Awards, the latter all in 2000. 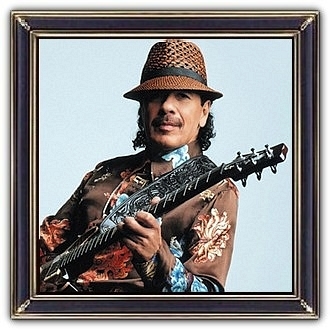 Santana has sold more than 90 million reords worldwide, making them one of the world’s best-selling groups of all time.